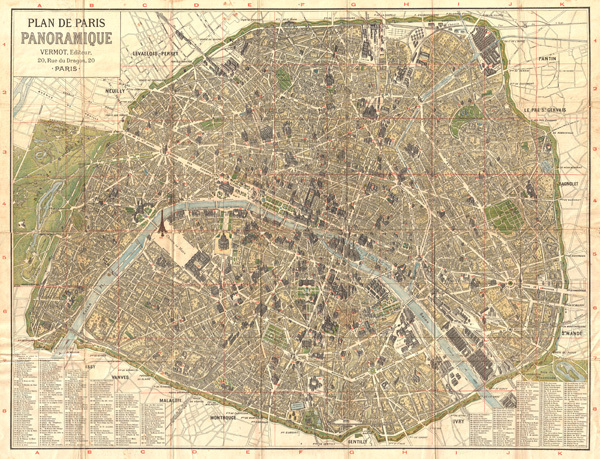 An uncommon c. 1900 pocket map of plan of Paris, France. Focuses on the walled center of Paris showing individual buildings in a picturesque axonometric view. A number key in the lower left and right quadrants identify some 310 different structures throughout the city. Average. Wear and verso repair along most fold lines. Should not be refolded.